Shazam (/ʃəˈzæm/) is a fictional character appearing in American comic books published by both Fawcett Comics and DC Comics. Djimon Hounsou played the ancient wizard, Shazam, in the theatrical film. 2.4 The Trials of Shazam! Created in the 1940s by Bill Parker and C. C. Beck for Fawcett Comics, he is an ancient wizard (Whiz Comics #2 gives his age as 3,000 years) who gives young Billy Batson the power to transform into the superhero Captain Marvel. Since 1973, DC Comics has billed Captain Marvel's adventures under the title Shazam!. In 2012, DC officially changed Captain Marvel's name to "Shazam", to resolve trademark conflicts with the Marvel Comics character of the same name. Both the wizard and his champion shared the name of "Shazam" in the comic book stories published from then to date, the Wizard later revealing "Shazam" is an adopted name, his original name being Mamaragan. Shazam informs Billy that he is an ancient Egyptian wizard who has been using his powers for many centuries to fight the forces of evil, but that he is now old and not long for this world. He therefore passes along part of his power to Billy, who shouts his name – "SHAZAM!" – to transform into Captain Marvel/Shazam. Although Shazam is killed, as prophesied, by a giant granite block falling on him, Billy/Captain Marvel/Shazam can summon the ghost of Shazam for guidance by lighting a special brazier in Shazam's lair (the Rock of Eternity). More superheroes soon joined the superhero Shazam in carrying on the legacy of the wizard Shazam, including Shazam Family members Mary Marvel and Captain Marvel Jr. Shazam tells that once, 5,000 years before, he gave powers to Black Adam, but Black Adam was killed while turning back to his regular self. He died due to his advanced age. M The speed of Mercury. Originally, the wizard's name was Shazamo, the last letter standing for the hero of magic, Oggar. However, Oggar became corrupt and tried to take power from Shazamo. The wizard defeated Oggar and cursed him to live in the world of mortals. He was given cloven hooves as a sign of his inner evil, and could cast each magic spell only once. Shazamo then dropped the last letter of his name. M for the stamina of Marzosh Using Marzosh's endurance, the Champion can withstand and survive most types of extreme physical assaults. Additionally, he does not need to eat, sleep, or breathe and can survive unaided in space when in his Champion form. A for the speed of Arel By channeling Arel's speed, the Champion can fly and move at unlimited speeds. R for the power of Ribalvei Ribalvei's power, besides fueling the magic thunderbolt that transformed the Champion, also enhances the Champion's other physical and mental abilities, provides physical invulnerability, and grants magic resistance against most magic spells and attacks as well as allowing interdimensional travel. V for the strength of Voldar The Champion has incredible amounts of super strength, and is able to easily bend steel, punch through walls, and lift massive objects. E for the courage of Elbiam Like wisdom, this aspect is primarily psychological and gives the Champion superhuman amounts of inner strength on which to draw. It also makes him highly resistant to mind control. L for the wisdom of Lumian As the Champion, Shazam has instant access to a vast amount of scholarly knowledge, he can understand all languages. At one point, the Champion is seduced by a demoness disguised as a beautiful woman, and the two of them conceive two half-demon offspring, Blaze and Satanus, much to the displeasure of the gods. The Champion later creates the Rock of Eternity from two large rock formations – one from Heaven and one from Hell – to hold the Three Faces of Evil, a dragon-like demon, captive. Shazam trapped demons of the Seven Deadly Sins in statues of themselves and imprisoned them at the Rock of Eternity. M The courage of Mehen. As her mother did, Shazam's daughter Blaze takes on the form of a beautiful woman and seduces Adam, convincing him to kill the pharaoh and take over the kingdom. An angry Shazam draws Mighty-Adam's powers out of him and into a large jeweled scarab, thereby killing Adam as he ages to death. Shazam then seals his remains and the amulet in a tomb. A wicked reincarnation of Teth-Adam named Theo Adam would steal the scarab many centuries later, and use the power of Shazam to become Black Adam. Shazam was upset by this, and did not consider passing on his powers for millennia. The wizard resurfaces as an aide on the 1940 Malcolm Expedition, one of many archaeological expeditions into the tombs and pyramids of ancient Egypt. The sarcophagi of Ibis the Invincible and his mate Princess Taia are uncovered and brought to the United States. Shazam follows the sarcophagi and, once they are on display at the Fawcett City Museum, uses ancient spells to resurrect Ibis. Ibis then joins Bulletman, Spy Smasher, Minute-Man, and others to fight evil during the World War II era. In 1955, a thug knocks Shazam across the head with a crowbar and causes him to lose his memory. A clueless Shazam wanders around Fawcett for the next forty years until C.C. Batson, a young man Shazam had met on the Malcolm Expedition, recognizes the old man and brings him to the museum to restore his memory. Shazam feels that he has truly found his successor in the upstanding Batson, but before he can act on this, a possessed Theo Adam murders Batson and his wife Marilyn for the magic amulet. He therefore decides to enlist C.C. Batson's young son, Billy, as the successor to his power. In the Marvel Family series he was shown in some early issues carving the Marvel Family adventures into the Rock of Eternity. In Superman #216, Shazam calls upon the Spectre to free Superman from being controlled by the demon Eclipso. This action breaks a covenant between Eclipso and the Spectre, and sets Eclipso permanently at odds with the wizard. Possessing the body of Jean Loring, the Atom's ex-wife, Eclipso corrupts the confused Spectre into joining forces with her, and begins a war against all magic-powered beings in the DC Universe. Because of his previous action, Shazam is one of the duo's primary targets. In the Day of Vengeance mini-series, Shazam enlists Captain Marvel to keep the Spectre at bay, while the wizard gathers all of his power to battle him. With the assistance of the newly formed Shadowpact, a band of magic-based heroes, Captain Marvel fights the Spectre nearly to a standstill, but the Spectre escapes and makes his way to the Rock of Eternity to confront Shazam directly. While Shazam is preparing for his bout with the Spectre, he is confronted by Mordru, who has just escaped the Rock of Eternity. Mordru and the wizard fight for a short time while the Spectre begins to approach, despite being delayed by fighting Captain Marvel. Mordru, more concerned with escaping and staying out of the Spectre's way, leaves a slightly wounded and tired Shazam to fight the Spectre, who is already more powerful than him at full power. The Spectre overpowers the wizard, absorbs his magics, and kills him. As a result, the Rock of Eternity disintegrates above Gotham City into "a billion pieces" and explodes, freeing the Seven Deadly Sins along with many other demons and sending a depowered Billy Batson falling into the city. In Infinite Crisis #1, Billy finds he is still able to transform into the Captain before he strikes the ground by saying the wizard's name as usual. 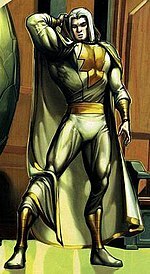 It is also revealed that the entire affair was orchestrated by Alexander Luthor and the Psycho-Pirate to reduce magic to its raw form, the death of Shazam turning his name into a tether for the rest of the raw magic that Alexander could harness to power his tower by acquiring one of Shazam's champions, eventually forcibly 'enlisting' Black Adam for that purpose after failing to capture any of the other Marvels. In Day of Vengeance: Infinite Crisis Special, the Shadowpact teams up with the majority of the DC Universe's surviving magical characters to rebuild the Rock of Eternity and reseal the Seven Deadly Sins. The final piece of the reconstruction, revealed by Zatanna, is that a new wizard has to be appointed to guard the Rock. Billy, as the only real candidate, is chosen to succeed Shazam as the Rock's new caretaker. In the comic series 52, Captain Marvel is revealed to be currently headquartered at the Rock of Eternity, acting in Shazam's stead. He has already imprisoned the Sins again, although he claims they cause trouble at the full moon. Portion of a panel from The Trials of Shazam #2 (November 2006) featuring Marvel. Art by Howard Porter. A year after the events of Infinite Crisis, The Trials of Shazam! mini-series features Captain Marvel, now with a white costume and long white hair, taking over the role of the wizard Shazam under the name Marvel while a powerless Freddy Freeman attempts to prove himself worthy to take on the powers of Shazam. Mary lost her powers a year after Shazam's death and fell from a great height, placing her in a coma. She later wakes up and accepts power from Black Adam. Also attempting the Trials is Sabina who, with the assistance of The Council of Merlin, manages to gain several of the Powers of Shazam before Freeman can, including half the healing power of Apollo, who takes the place of Atlas after Sabina kills the Titan using the dagger of three points. Freddy is briefly trapped under Atlas's burden, but Marvel frees him, reminding him he can only be away for 24 hrs at a time. At the series finale, Sabina and the Council of Merlin seek audience with Merlin himself, and convince him to aid them in an assault on New York City that would send the magical world out of balance. Merlin opens a portal through which several demons appear and begin converting humans to their ranks, the intention being that if one million souls are taken, Zeus will be forced to give his power to Sabina as Merlin will have a foothold on Earth. The Justice League arrive to join the fight and Freddy battles Sabina herself, but is seemingly beaten. However, during the fight, Freddy Freeman proves that he is willing to sacrifice himself by attempting to force both Sabina and himself back through the portal that the demons emerged from; an act that would end the assault, destroy the powers of Shazam, and kill both of them. Witnessing Freddy's willingness to die so that magical balance can be restored, Zeus, who had been disguised throughout the series as Freddy's friend Zareb Babak, a retired necromancer, reveals himself and informs Freddy that he is the most worthy, granting him the full power of Shazam. Freddy says the word aloud and the lightning comes down, transforming him into Shazam. Sabina is forced through the portal and killed, and the demons disappear or turn back into humans. In this new incarnation, Shazam looks essentially like the original Captain Marvel, only with Freeman's long hair. Some time after Shazam's appointment, Black Adam and his resurrected bride Isis, along with the corrupted Mary Marvel, wrest control of the Rock of Eternity from Marvel, turning him back into Billy Batson at the same time. The spirit of Billy and Mary's father recruits Jay Garrick to go on a mission to the netherworld domain called Rock of Finality where Shazam's spirit sealed in stone resides ever since he was slain by Spectre. Jay brings Shazam to Earth, where Black Adam is convinced to give back his powers to restore Shazam, so that the greatly corrupted Isis can be saved as she is planning to wipe out humanity. The restored wizard removes the powers from Isis and the Marvels, and turns Teth-Adam and Adrianna to stone. Shazam tells Billy and Mary that they failed him and that their access to his power is cut off. He also returns Stargirl to Earth as his final favor to them. Shazam also mentions Freddy, stating that his magic comes from elsewhere, and that he too will be dealt with as Shazam closes up the Rock of Eternity to go deal with Freddy. 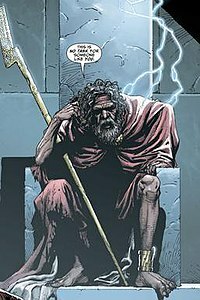 The Wizard, as seen in Justice League #0 (November 2012). Art by Gary Frank. While not part of the first wave of DC's The New 52 2011 line wide relaunch, it was announced at New York Comic Con on October 15, 2011 that Billy Batson would be featured in a back up story, "The Curse of Shazam!" beginning in Justice League #7 in March 2012. It was confirmed by Geoff Johns, DC Comics' Chief Creative Officer and the author of the story, that Billy Batson's alter ego would be called "Shazam" rather than "Captain Marvel" from now on. In DC's, 2012 Free Comic Book Day offering called The New 52 FCBD Special #1, it was revealed that seven wizards representing seven different mythologies occupied the Rock of Eternity at the dawn of time in The New 52. They harnessed the power of magic to cast out a "Trinity of Sin", which acted as a precursor to the 2013 Trinity War crossover event. A younger version of the Wizard is part of this group of wizards. In this version, the Wizard is depicted as a native of the Middle Eastern kingdom of Kahndaq. 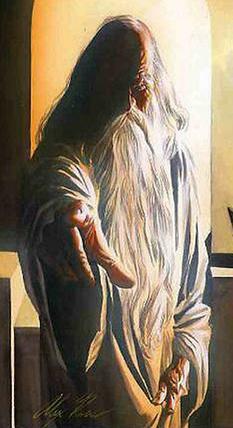 The Wizard was the last of a council of beings who controlled magic from the fortress known as the Rock of Eternity. One of their first actions was to punish and sentence the Earth's greatest transgressors. So they summoned Phantom Stranger, Pandora, and Question to the Rock of Eternity and evoked the different punishments on them. At some point in the Council of Wizards' history, most of the council members were killed by Black Adam except for the Wizard. Many years later, the Wizard appeared before Pandora. He is very weak and tells her that he has just given his power to a new champion of magic who will take his seat on the now destroyed council. The Wizard says that he has come to tell Pandora that he and the council were wrong for punishing her. He says that the other two members of the Trinity deserved their punishment but she was just a curious girl and he asks for her forgiveness. He then tells her that she can no longer open the box and that what had been released could not be put back. But there was still power within the box and it would take the strongest of heart or the darkest to open it. Then the vision disappears before Pandora can find out who that person might be. When Doctor Sivana opens Black Adam's tomb and frees Black Adam, the Wizard begins abducting people one by one via magic and bringing them to the Rock of Eternity to assess them for the job of inheriting his powers only to dismiss each of them for not being pure of heart. The Wizard then summons Billy to the Rock of Eternity as his last candidate, but upon meeting him sees how rotten a child he is and dismisses him as well until Billy argues that perfectly good people "really don't exist" and that the Wizard may never find what he is looking for. Agreeing with Billy and aware that he is dying, the Wizard sees that Billy has the potential to be good and passes on his powers to the boy by asking him to speak the magic word "Shazam" with "good intentions" as merely saying the word has no effect. After saying the magic word, Billy is struck by a bolt of lightning which transforms him into Shazam, a super-powered being possessing super-strength and flight. The Wizard then passes away and transports Shazam back to Earth. When Billy Batson's powers to the original gods of the magic lightning are severed, the spirit of the Wizard arranges for new gods to empower Billy. The Wizard reveals to Billy that he is himself one of these gods – the Wizard is just a name he acquired – and that his true name is Mamaragan. Shazam has many superhuman powers and abilities as the result of his magical skills as well as powers bestowed to him as the representative of the various gods whose powers the Wizard gives to certain representatives of those gods as their champion as in the cases of Black Adam and Batson. As the Guardian of the Rock of Eternity, he is one with the Rock as it is a part of him. He channels the energies of the primal God-wave and the Greek Lords of Magic through the Rock of Eternity. As such, he is infused with the duty to keep the power and the magic of the earth realm in balance. As keeper of the Rock of Eternity, he also holds the dark forces at bay. Due to being bound to the Rock of Eternity, Shazam's spirit can leave the Rock of Eternity for short periods of time. It should be noted that Shazam gets weaker the longer he is away from it. Pre-Crisis, he once claimed to get his powers from his magic mantle which protected him from evil harm and enabled other powers. When it was removed, he lost his powers and became just an old man, although it does not appear to work for others; when Sivana put it on, he was not protected from Captain Marvel as it only protects the wearer from evil harm. In other stories, he is shown as being weaker, being captured even while wearing the mantle, and it is once shown that the brazier being lit will summon him even if he is not at the Rock of Eternity. He also possessed a device with which he could observe the past, present and future, and can throw lightning bolts from the Rock, which transform the Marvels. In another story, it is claimed that Shazam's powers come from a Shazamium bracelet which enables him and anybody else wearing it to become ethereal and travel back and forth from the Rock of Eternity. If Shazam has it off for 24 hours, he dies. In the Kingdom Come reality, Shazam is a member of the Quintessence and has been displeased that Billy Batson has been corrupted by Lex Luthor's influence. In Flashpoint reality, the power of the six Elders is divided up between six children who say Shazam together to transform into Captain Thunder, similar to the Lieutenant Marvels. They claim to have gotten on the subway car to Shazam's lair. Shazam appears in The Kid Super Power Hour with Shazam! voiced by Alan Oppenheimer. Shazam appears in the Batman: The Brave and the Bold episode "The Power of Shazam" voiced by Jim Piddock. Doctor Sivana brings Black Adam out of his exile in a plot to steal Shazam's powers. Batman and Billy Batson visit his shrine to get answers about Black Marvel. Shazam reveals his history with him and Black Marvel and how he banished him to the furthest star. Just then, Black Adam and the Sivana Family arrived as Black Adam comes for revenge where Doctor Sivana reveals to Black Adam that Shazam resides in the Rock of Eternity. When confronting Shazam at the Rock of Eternity, Black Adam ended up fighting Shazam as Doctor Sivana sits on Shazam's throne double-crossing Black Adam. After Doctor Sivana is defeated, Black Adam disappears with Shazam fearing his return. Shazam (referred to as "The Wizard") appears in the Justice League Action episode "Classic Rock," voiced by Carl Reiner. This version is shown to still be alive. He is first seen when his former student Black Adam breaks into the Rock of Eternity. The Wizard summons Billy Batson so that Shazam can fight him. When Billy Batson quotes "Shazam," Black Adam uses a special sphere to intercept the powers before capturing Billy, freeing the Brothers Djinn, and casting the Wizard out. While on patrol in Gotham City, Batman comes across the Wizard fighting some creatures sent by Black Adam and helps him. The Wizard reluctantly asks Batman to help him get to the Rock of Eternity in order to free Billy Batson. While Batman fights Black Adam, the Wizard tells Billy Batson to focus hard enough so that the orb can break enough for Billy to become Shazam. Once that is successful, Billy Batson becomes Shazam to help fight Black Adam while the Wizard regains his powers. Once Black Adam is defeated, the Wizard uses his magic to send Black Adam to the farthest reaches of the galaxy. Shazam appears in the 1941 film serial "Adventures of Captain Marvel" portrayed by Nigel De Brulier. Shazam appears in an animated short film entitled Superman/Shazam! : The Return of Black Adam (released on the DC Showcase Original Shorts Collection DVD compilation as part of the DC Universe Animated Original Movies) with Academy Award-nominated veteran screen legend James Garner voicing Shazam. Upon Billy Batson making his way into Shazam's lair, Shazam relays to the boy that he is the next Chosen One. He explains that Black Adam had been the champion he had chosen 5000 years ago, but Teth-Adam had used his power for personal gain and corrupted the gift. He was then banished to the farthest star in the sky, and now Black Adam has returned seeking vengeance. Shazam then causes a cave in, telling him that he wishes to atone for the mistake of creating Black Adam. He does tells Billy that should he need him, he has only to speak the Wizard's name. Shazam appeared in the film Shazam!, portrayed by Djimon Hounsou. Originally, Ron Cephas Jones was to play the character and had step down due to schedule conflicts. The film adaptation is said to take inspiration from The New 52 and pre-Flashpoint comic book versions and there was a reference to a previous champion who went rogue. He is first seen when he summons a younger Thaddeus Sivana to the Rock of Eternity in his quest to find a successor as he is getting too old. Shazam rejects him when the Seven Deadly Enemies of Man tempt him to touch the Eye of Sin. Years later, Doctor Sivana researched the people's different experiences with Shazam and used his notes to open a portal to the Rock of Eternity. Upon freeing the Seven Deadly Enemies of Man, Doctor Sivana is possessed by them as he defeats Shazam. Billy is later summoned to the Rock of Eternity and meets Shazam. Upon Billy holding onto Shazam's staff and quoting "Shazam," Billy is transformed into an adult superhero while Shazam crumbles to dust. Shazam appears in Lego DC Super Hero Girls: Super-Villain High, voiced by Khary Payton. Shazam appears in the Mortal Kombat vs. DC Universe video game voiced by Joe J. Thomas. After Captain Marvel fended off Raiden, the presence of Shazam appears and tells him that Dark Kahn is behind the world merge crisis and that Darkseid's essence has merged with evil magic from the other world. Shazam then tells Captain Marvel to help defeat Dark Kahn by gathering an "army of both dark and light" to fight him before the world merge is complete enough for the Kombat Rage to consume every living being on both worlds. In Superman's ending, Superman seeks the aid of Shazam to help him prepare for any protection against any future magical threats where they used ancient Kryptonian Lore to the creation of a new costume giving Superman an immunity to magic. In Captain Marvel's ending, Captain Marvel was guided by Shazam through a focusing ritual in order to regain control of his powers. Shazam is featured in Injustice: Gods Among Us. He appears as a support card in the mobile version of the game. Shazam appears as a playable character in Lego DC Super Villains. ^ "Captain Marvel Officially Becomes 'Shazam' In DC Comics". geeksofdoom.com. January 30, 2012. Retrieved June 10, 2013. ^ "SHAZAM! joining DC COMICS-THE NEW 52". dccomics.com. 15 October 2011. Retrieved 18 April 2018. ^ "Exclusive: GEOFF JOHNS Hopes Lightning Strikes SHAZAM!". newsarama.com. Retrieved 18 April 2018. ^ "Demythify: FCBD DC New 52 #1 Reveals HUGE Implications With 4 Shazam Puzzle Pieces - Inside Pulse". insidepulse.com. Retrieved 18 April 2018. ^ "FCBD New 52 #1 Spoilers: Who Are DC's New Trinity If NOT Superman, Batman & Wonder Woman? - Inside Pulse". insidepulse.com. Retrieved 18 April 2018. ^ "JUSTICE LEAGUE ACTION North American Debut Date Revealed". newsarama.com. Retrieved 18 April 2018. ^ "DC Showcase Animated Shorts". comicscontinuum.com. July 10, 2010. Retrieved July 10, 2010. ^ Collura, Scott (July 25, 2010). "SDCC 10: DC Shorts Showcase". IGN. Retrieved July 25, 2010. ^ Gonzalez, Umberto (January 18, 2018). "'This Is Us' Star Ron Cephas Jones Circles Wizard Role in DC Superhero Film 'SHAZAM!' (Exclusive)". TheWrap. Retrieved January 18, 2018.